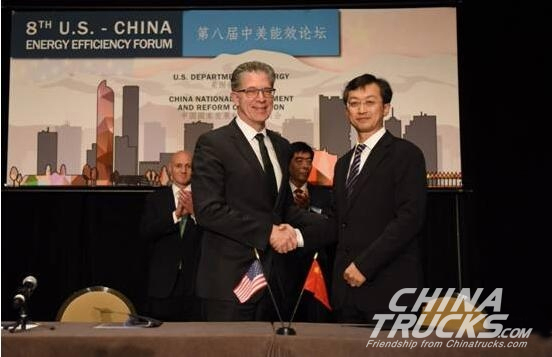 On October 13, 2017, The 8th U.S.-China Energy Efficiency Forum was held in Denver, Colorado, US. At the forum, Foton Motor and Cummins signed a Memorandum of Green Power and Smart Truck Cooperation Development Project, which indicates that Foton Motor and Cummins will launch an in-depth cooperation in tackling global climate change under the consensus of boosting energy-saving, low-carbon and green development, and also marks the launching of the second stage of the "China Super Truck" program. This new cooperation aims at performing in-depth cooperations in green energy sources, that is, based on the advantages of the both sides in technologies and resources, using new energy-saving technologies to complete the optimization of the powertrain system and vehicle integration, reducing fuel consumption and enhancing transport efficiency, creating globally-leading green smart trucks to comply with the trend of green environmental protection and practice the requirements of US-China clean energy cooperation. Since 2008 when Foton Motor and Cummins established the joint venture, engines produced by Foton Cummins have covered light-duty and heavy-duty engine series, with emission standards meeting the requirements in the globally strictest emission-related laws and regulations, Foton Cummins engines can meet Euro IV, Euro V and Euro VI emission standards. 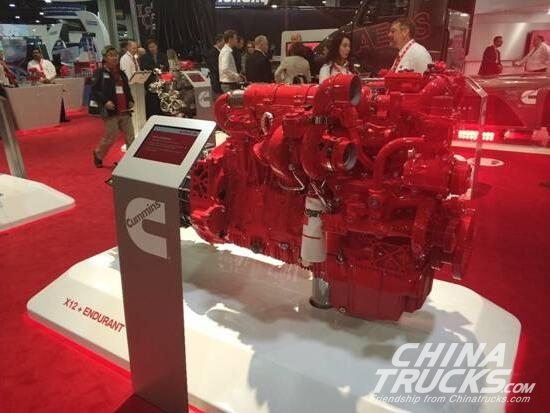 ISG super powertrain is Cummins' exclusive powertrain for Super Truck. 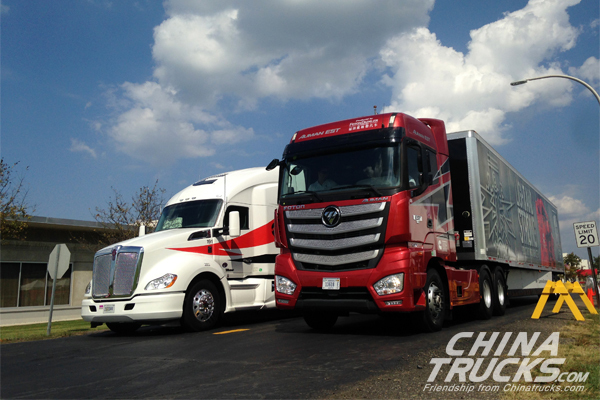 Its outstanding intelligent technology and high-efficiency fuel-saving advantages contribute to it being a global mainstream primary powertrain for high-end heavy-duty truck. 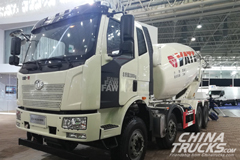 FOTON AUMAN EST and EST-A heavy duty truck which are equipped with ISG super powertrain, can reduce fuel consumption and carbon emission and enhance transport efficiency sharply. 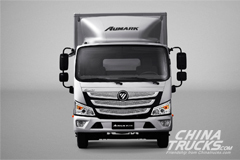 FOTON AUMAN EST series will be launched in Russia, Peru, Thailand, etc. 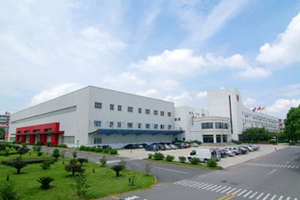 this year, which has been researched and developed for 4 years with European standards, based on research and development advantages of Beijing Foton Daimler Automotive Co., Ltd.(BFDA), matched with Cummins ISG exclusive powertrain, and integrated globally top-level commercial vehicle core supply chains including Cummins, ZF Friedrichshafen AG, Wabco, Continental, etc. 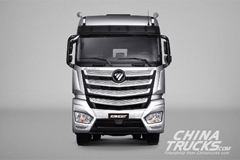 Leading the trend of the Chinese truck with scientific and technological breakthroughs, FOTON AUMAN EST series has become China's real first-generation Super Truck. 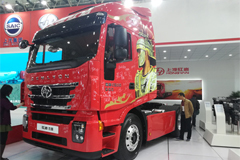 In addition, Foton Motor allied with globally top-level supply chain systems to establish “China Intelligent Connected Super Truck Alliance”, aiming at realizing construction and development of smart traffic and smart city on a global scale. 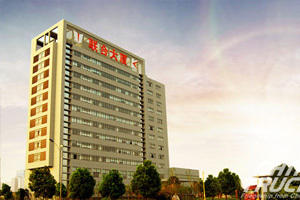 through intelligent interconnection automobile products. 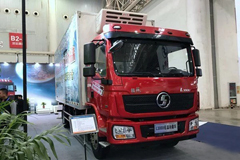 The signature of Memorandum on Strategic Cooperation of green power and Smart Truck indicates that the second stage of “China Super Truck” program is launched formally. 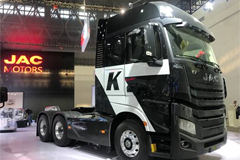 Its target is to reduce fuel consumption up to 15-20%, decrease carbon emission up to 20% and enhance transport efficiency up to 50%.